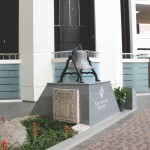 admin « Buckley & Associates, Inc. 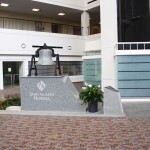 The preservation of an historic structure provides appropriate and affordable life-long supportive housing for 15 survivors of brain injury (BI), featuring a barrier-free environment, access to community social life and ongoing life-skills training with 24-hour staff support and supervision. Federal, state, local and private funding allow 11 affordable and 4 market rate rentals. 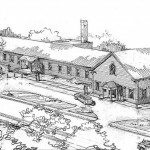 The 125 year old building details blend with a simple arrangement of private Units and public Common spaces in response to residents with short-term memory losses and mobility complications. 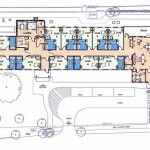 Direct paths of circulation and a clear separation of functional rooms create an accessible, familiar Home that is easy to use by cognitively impaired residents, families, support staff, and general visitors alike. 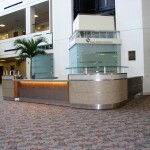 Exterior and interior barrier-free designs include an open Activity / Dining room, Main Kitchen, Parlor and Porch. Independent living Studios include an accessible “tea kitchen” and a fully equipped bathroom with sink-vanity storage and mirror, floor mounted toilet with grab bars, and a roll-in shower. The Lower Level, accessible by elevator and decorative stair, will be developed for future training and activity programs to enable survivors of brain injury to live with dignity and achieve their highest level of independence in the community. 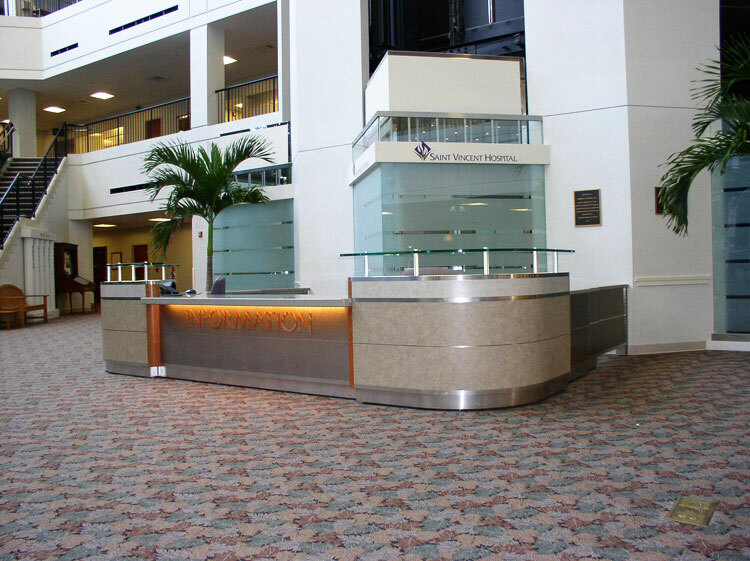 Buckley & Associates was commissioned to design two Reception / Information Desks for the new Saint Vincent Hospital, Worcester Medical Center and create a new central space for the old hospital bell in their central foyer. 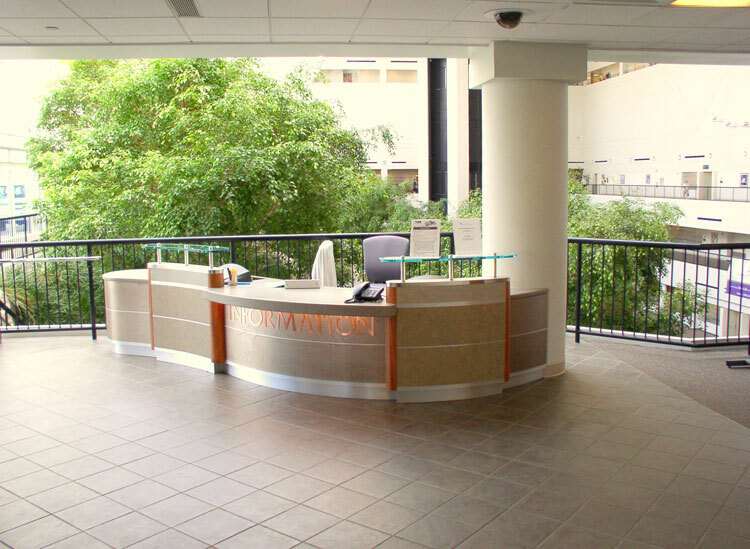 The desks provide a key point for patient information, are on two different floors but central to the circulation in their respective areas. 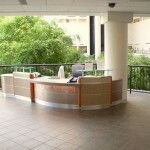 The desks have been created to suit technical needs without losing contact with the surrounding interior decor. 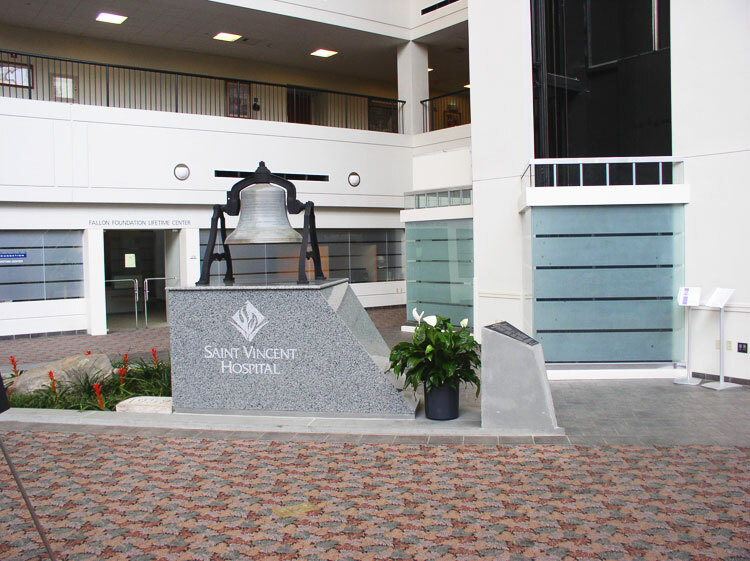 The 100 year old majestic bell to the Saint Vincent Hospital Vernon Hill Campus was placed in the central hospital area to serve as a symbol of strength and fortitude as it had been in the past. 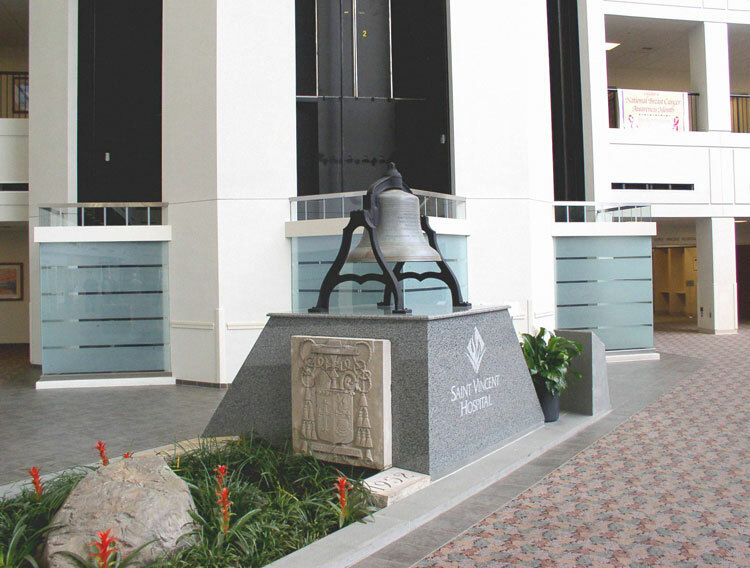 A space was created for the bell surrounding it with the cornerstones from 1899 and 1952, and two large medallions that commemorate the Catholic Church and the Sisters of Providence, Holyoke, MA.